Doorstops protect the wall from impact by the door. 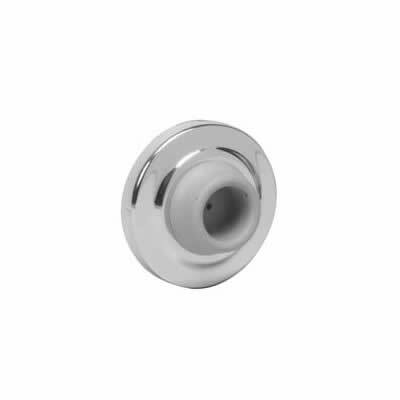 Some door stops also feature a hold open mechanism. 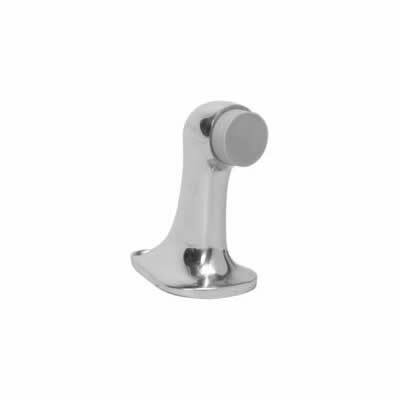 Like door closers and hinges, most people don't spend much time thinking about builders hardware such as door stops. 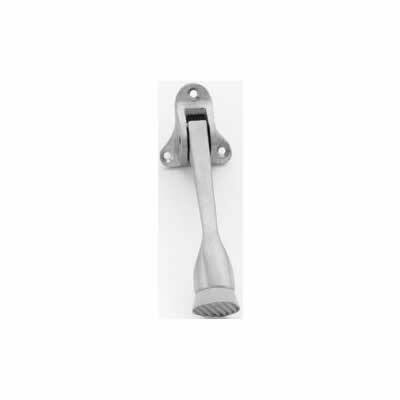 Most people are surprised to learn of the incredible variety of commercial architectural door stops available on the market. 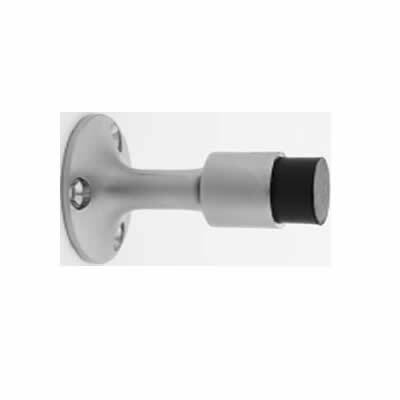 Dome stops such as the Ives FS438 shown top right are by far the most common type of door stop. The FS438 has a base height of 9/16 of an inch, therefore the bottom of the door must be about 5/8 or slightly more above the finished floor in order to clear it properly. 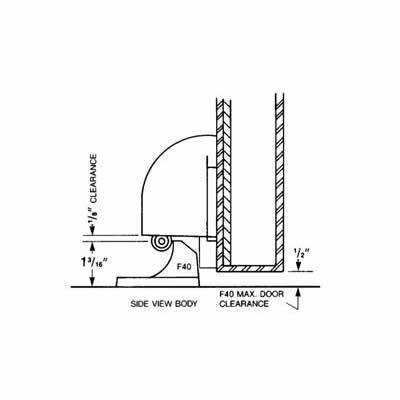 Given a standard 1/2 inch high threshold and a standard 1/8 inch gap between the door and the threshold, the FS438 (in a perfect world) should be just about perfect for use with a door that has a standard threshold. 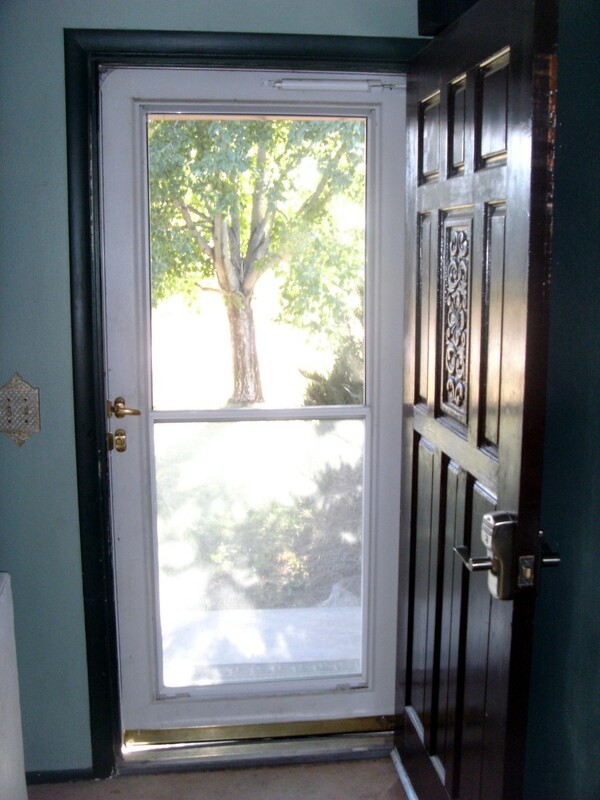 If, however, the door has an American Disabilities Act (ADA) compliant threshold that is only 1/4 inch high, or has no threshold, the little brother of the FS438, the FS436, that has a base height of 3/16, should do the job. Minimum clearance required would be 1/4 inch. The FS436 and FS438 can be installed in wood or concrete floor applications. Both the FS438 and FS436 have an overall height of 1 inch. 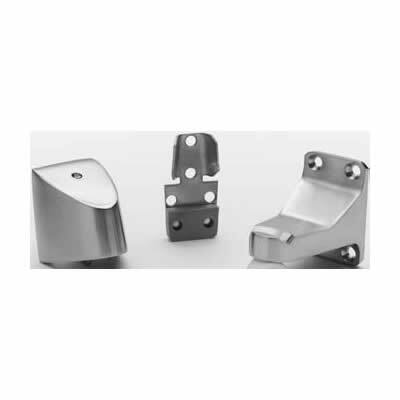 If the gap between the door and the finish floor is greater than 3/4, either a shim, called a 'riser', can be purchased separately to raise the dome stop, or a taller floor mounted door stop can be chosen instead, such as the FS442 or FS444 at right. 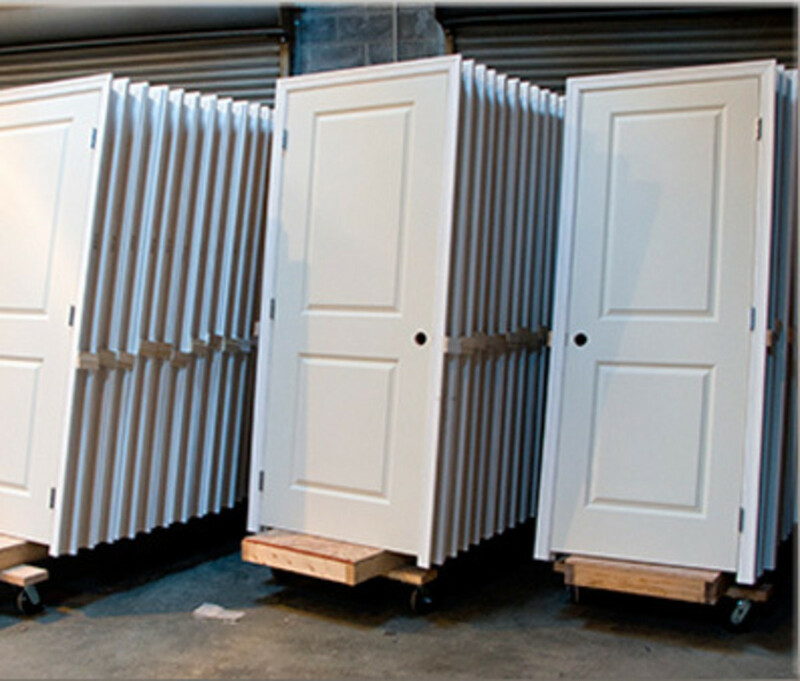 The taller floor stops are also available with a hook to hold the door open, see FS450 and FS451 at right. The FS450 is the older style, and can be a little problematic in that sometimes the hook can get between the door and the rubber bumper. The FS451 is cleaner since the hold open hook is completely behind the rubber bumper. If you look closely at the FS444 and the FS450, you will see that the FS444 has one countersunk screw hole whereas the FS450 has three. 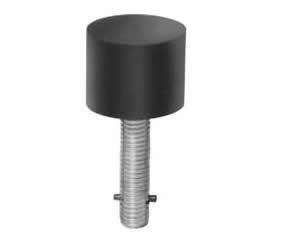 This indicates that the FS444 is mounted primarily to a stud that threads into an expansion shield for concrete floor installation, and the FS450 is designed to be mounted with three wood screws to a wood floor. The FS40 at right, shown in both a diagram and a photo, is a door stop and an automatic hold open. Whenever the user opens the door far enough to engage the hook, the door remains open until someone pulls it closed. The FS18S is a security door stop. The exposed part is made entirely of hard rubber attached to a threaded stud that mates with an expansion shield. It is designed to be installed into a concrete floor. The hard rubber top is very difficult to remove and is pretty useless as a weapon, so the FS18 series is often used in institutional or detention applications. The FS18S is the shorter version (shown) and the FS18L is longer to accommodate greater gaps between floor and bottom of door. 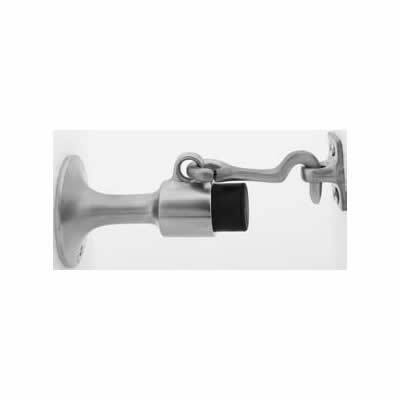 Dedicated door holders do not act as door stops but simply hold the door open when activated. At right are pictured the FS455 kick down door holder and the FS1154 plunger-type door holder. The drawback of this kind of door holder is that it tends to leave a mark when it is dragged across the floor by careless users, as inevitably happens. 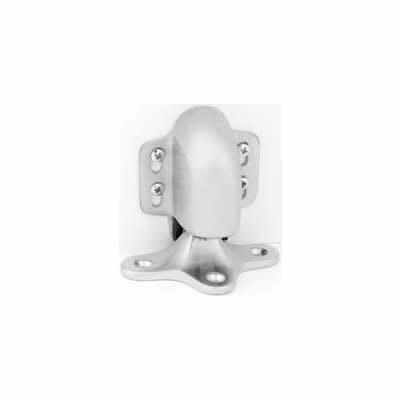 The WS401 is a concave wall stop that is designed to come in contact with a cylindrical lock that has a "button" on the inside handle that locks and unlocks the outside handle. 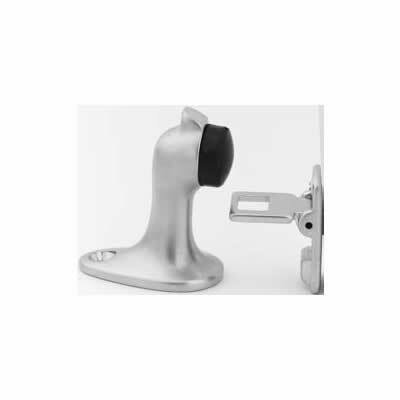 The depression allows the stop to come in contact with the inside handle without pushing the button in and thereby locking the lock. 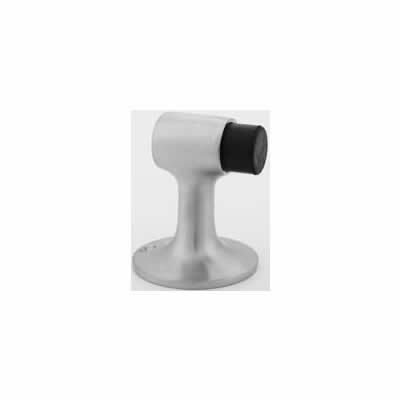 Other models are convex, and are used with locking hardware that does not have a button, i.e. 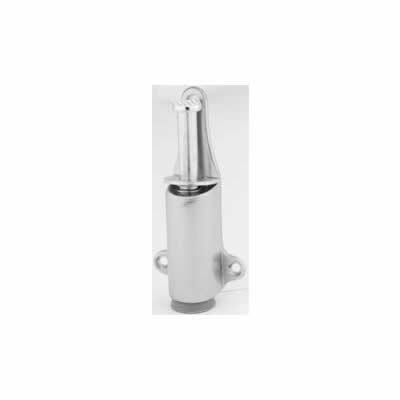 mortise locks, passage, classroom or storeroom cylindrical locks, exit devices, etc. The greatest potential weakeness of any wall stop is the wall. If you have a wall stop mounted on 1/2 inch sheet rock in, for example, a middle school, what you will have in short order is a large hole in the wall. The WS11 and WS447, next in line at right, are designed to be mounted on a wooden baseboard and can be a more durable solution. They are built to be long enough to reach past the locking hardware. 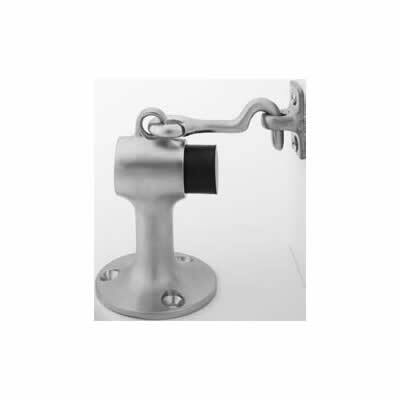 The WS11 is a light commercial or residential wall stop. The WS447 is a commercial stop. Like the FS444 above, the WS447 is available with a hold open hook system, and like the FS450, the hook can get in the way. The WS20 (not shown) has a hook system like that of the FS451 above, and while it is not as easy to use, it at least does not end up smashed between the door and the door stop. The FS495 (shown below right) is an automatic stop and holder. 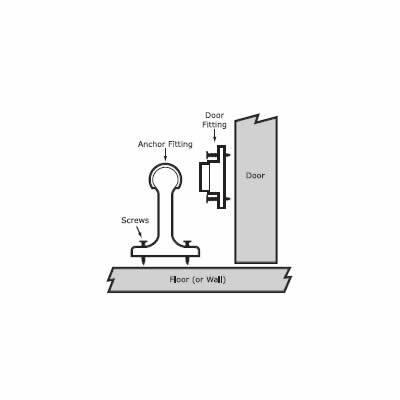 Whenever the door is opened to a sufficient degree, this device clicks into place and holds it open. User pulls on the door to free it for closure. 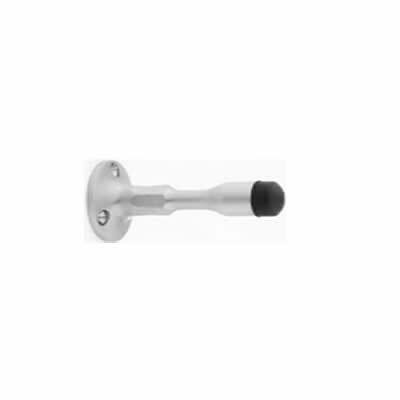 Overhead stops and holders are used where floor and wall conditions prevent the use of a floor or wall stop. 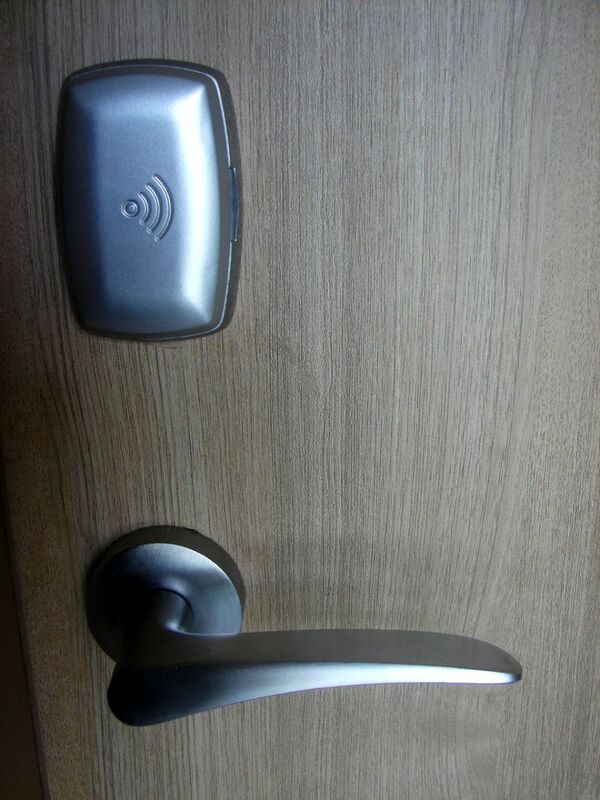 Other hardware on the door that might be in the way, such as door closer, vertical rod exit device, door coordinator, etc. 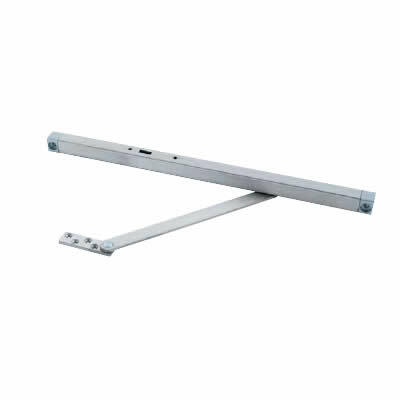 In interior applications the overhead stop or holder can applied to the side of the door opposite the closer so as to avoid a conflict. Overhead stops are available in concealed and surface mount, and in heavy and regular duty models to fit your application. Download the Glynn Johnson Overhead Stop and Holder catalog by clicking the link at the bottom of the page. 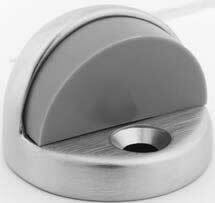 Universal Industrial Products makes this unique little door stop and holder that uses a strong natural magnet to effect the hold open feature.